يقع فندق Earnslaw Lodge في منطقة تتمتع بمعالم كثيرة، وتعتبر المكان الأنسب لاكتشاف هذه المدينة رائعة الجمال و ما يحيطها. يحظى هذا الفندق ذو 3.5 نجمات بمكان ممتاز يسمح بالوصول إلى المعالم السياحية الأكبر في المدينة، فهو يبعد مسافة 1 km عن صخب المدينة. يوفر العقار بفضل موقعة الجيد وصولاً سهلاً إلى أهم معالم المدينة.
. يعمل Earnslaw Lodge على ضمان إقامة مريحة لضيوفه من خلال خدماته الممتازة وحسن ضيافته. يقدم الفندق فرصة للاستمتاع بشريحة واسعة من الخدمات بما فيها: مرافق مخصصة لذوي الاحتياجات الخاصة, تسجيل وصول/خروج سريع, تخزين الأمتعة, واي فاي في المناطق العامة, صف السيارات . تنعكس أجواء Earnslaw Lodge في غرف الضيوف.تلفزيون بشاشة مسطحة, غرفة معيشة منفصلة, اتصال لاسلكي بالإنترنت, اتصال لاسلكي بشبكة الإنترنت (مجاني), غرف لغير المدخنين هي بعض الميزات الموجود في العديد من الغرف. كما أن مجموعة الخدمات الواسعة الموجودة في الفندق لضمان راحتك تترك لك الكثير من الخيارات لقضاء وقتك أثناء فترة إقامتك. استمتع بخدمات لا يعلى عليها وعنوان ذو اعتبار في Earnslaw Lodge . عند حجز 5 غرفة/غرف أو أكثر، قد تطبق سياسات مختلفة ورسوم إضافية أخرى. هذه هي سياسة العقار. استديو مع مطبخ مواجه للبحيرة. 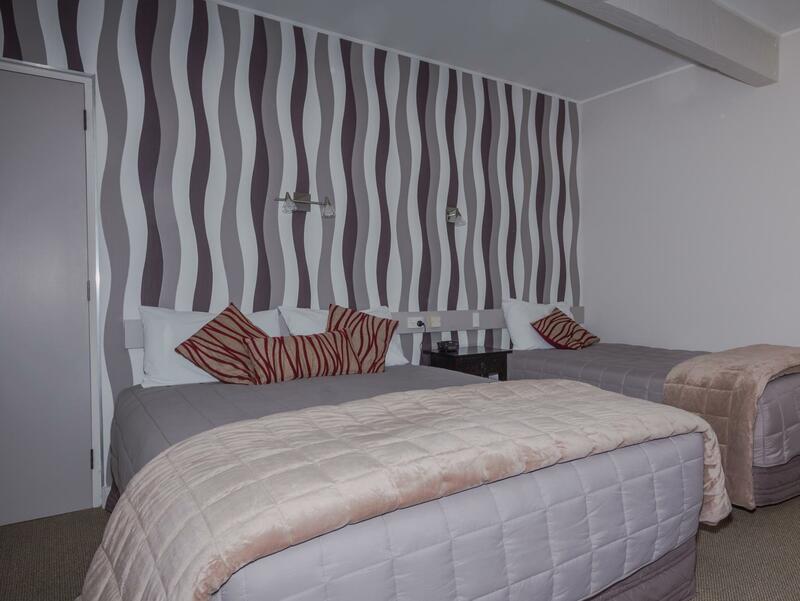 Kitchen is fully equipped, nice staff, comfortable and clean room with nice decorations. Get to DCB, by walk around 20 mins. It's not hot even without air-conditioning. They are locate on the side of main street, easy to find and close to bus stop. No elevator, felt laborious to carry luggage up or down if you have many..Staff was nice, just somehow I felt the madam at reception wasn’t very friendly even she was keep smiling.. location was good, facing the lake and few minutes drives or 15 minutes walks to the city center. We had a very pleasant stay although it’s quite pricey. 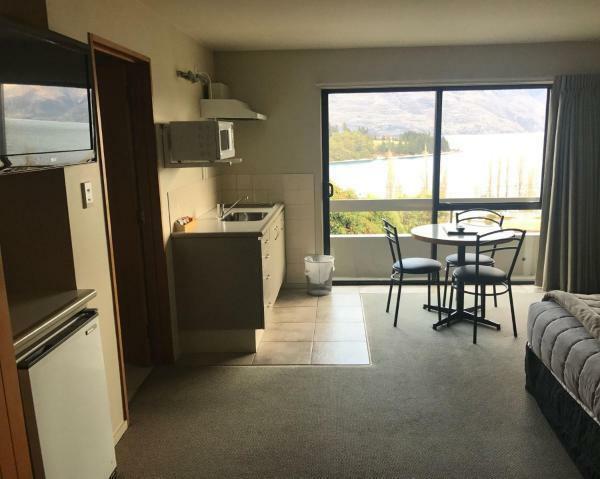 It’s only 5 minutes drive from Queenstown airport which was a huge plus for us as we had an early return flight. Staff was extremely helpful. Thanks to everyone for making our stay so wonderful. Entrance a bit inconspicuous, exterior looked a lot less like a lodge; but lovely, very tasteful interior, great host with lovely pets & few farm animals for urbanites deprived of nature & real country living! Stayed here for four nights. We booked a room with lake view, and the view was stunning. Room and bathroom are clean. 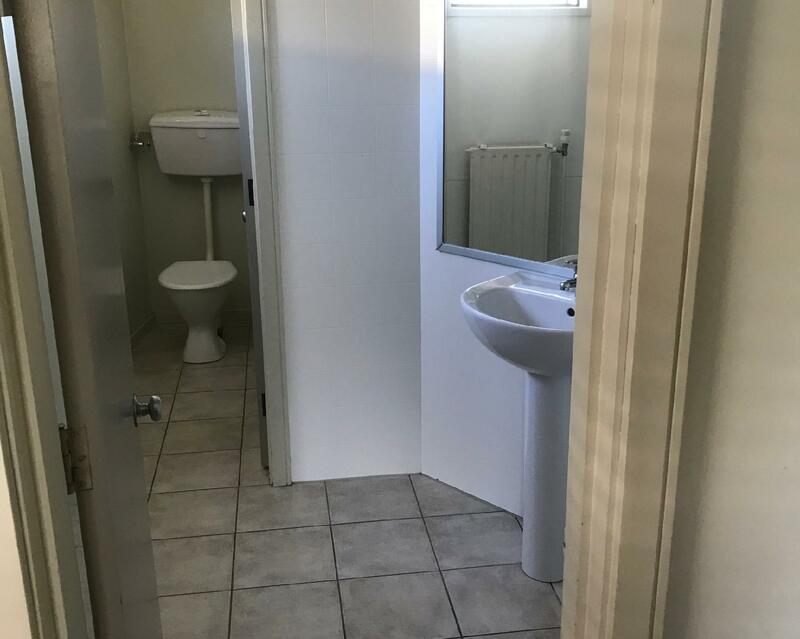 Great location too, just a short walk to Queenstown Garden and city. Overall is good. Bus stop in front and opposite of the motel. Convenient to take bus to Arrowtown and airport. No cons. This staff is really nice. We arrived late due to some accident but staff still try their best to help us check in. The place is huge and very clean. Though a bit far from city centre, but there is a bus stop just near by and easily get to city centre or arrow town. Perfect view from the window. Lake Wakatipu and mountains are just right outside the dining are. Very accommodating hosts. The cbd is just a few minutes walk and that includes the gondola, Fergs burger and Queenstown gardens. Beautiful lake views, great staff,, short walk into town, or bus stops out front. Can easily do shuttle bus or public bus from airport as on main Rd into town. Breakfast available upon request($) self serve laundry facilities($) A nice homely vibe. Would stay again. Stayed in Earnslaw Lodge for 3 nights, couldn't have asked for a better place! 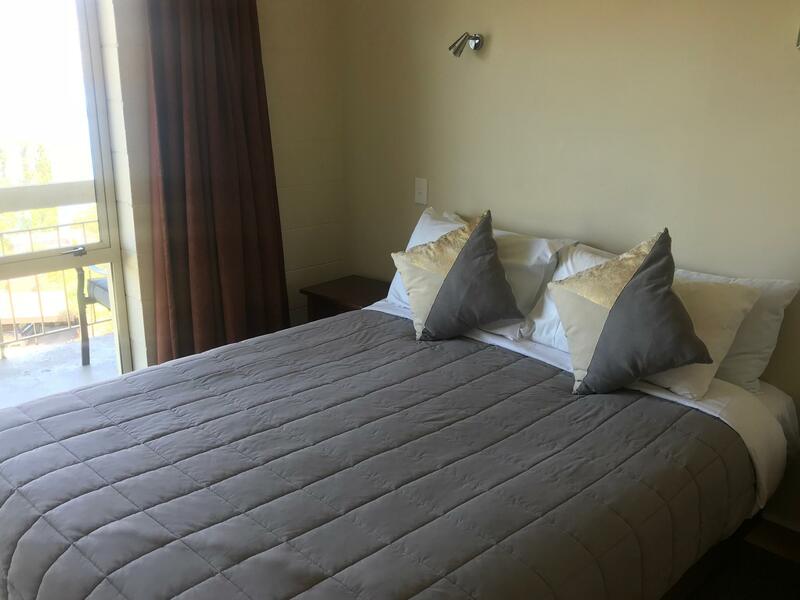 Gorgeous lake views, excellent service, very comfy bed, has everything you need for a short getaway to beautiful Queenstown. The place is a short walk away from all the adventure and wonder that awaits in town, perfect for post dinner strolling. Would definitely stay in Earnslaw Lodge again next time we're in QT. 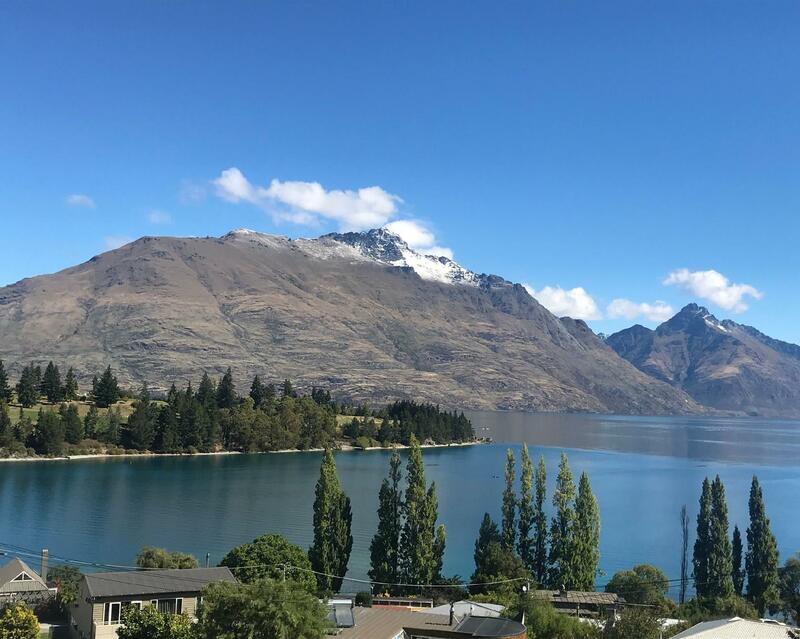 We stayed in the Lake Facing Studio, and this hotel can brag itself for having one of the best views in Queenstown. Staff is friendly. Room is spacious and clean. Only thing is that the WiFi is limited to 500MB per person and you'd have to purchase for more. got a room facing the road. Still relatively quiet but the view facing the lake will probably be better, although we were not in the room most of the time. Abt 10 mins walk to the town centre pass a steep slope. Nice exercise but may not be suitable for all. Lynsey does a great job of making guests feel at home. Happy to help find activities. Earnslaw has units with great views on top floor. Also recommend Cook and glacier flight at $595 each in small plane with Air Wakatipu. We got the Lakeview room with pantry and have no regrets getting it. It comes with a stove, fridge and microwave oven. There are cooking equipment avaliable, hence you don't have to bring your own. And yes, a beautiful view of the lake! The staff are very friendly and ever ready to help you out with anything you need. Linnle, thank you so much for the wonderful customer service. (Hope I spelt your name correctly, apologises if I didn't) The only major downside would be that the free WiFi is only 1Gb/day for each room. Greeted by friendly n helpful staff. We were given room no 8. The view was just incredible! We stayed for 3N It is abt 5-10mins walk to Queenstown Mall. We didn't mind cause we travelled by car. The only problem was there was no ironing board n iron in e room. We had to go down to the basement to iron our clothes. Besides that, the accommodation was great! Amazing view overlooking the lake and the golf course. 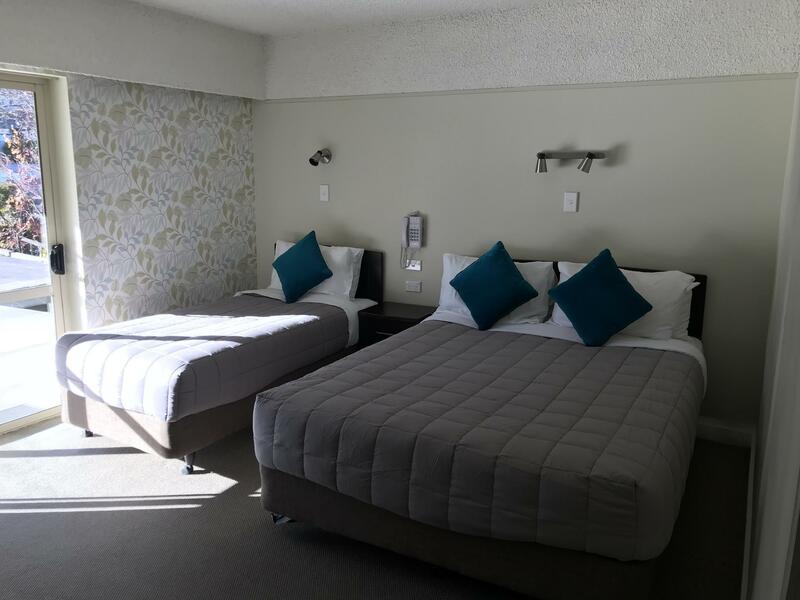 Besides that, the room is very spacious and the staff were very helpful and nice. It was fantastic. The location is excellent, ideal for us. Not too close to the town, yet within walking distance. You can also access the lake and it's walking trail easily from the hotel. The only improvement, I would suggest is to brighten up the dining and lobby area. It lacks the liveliness. Also at the counter there is a dummy boy playing hide-and-seek which is cute but at the same, a little freaky. Couldn't comment on the food/dining, so I left it as a 3. 1.Stunning view. 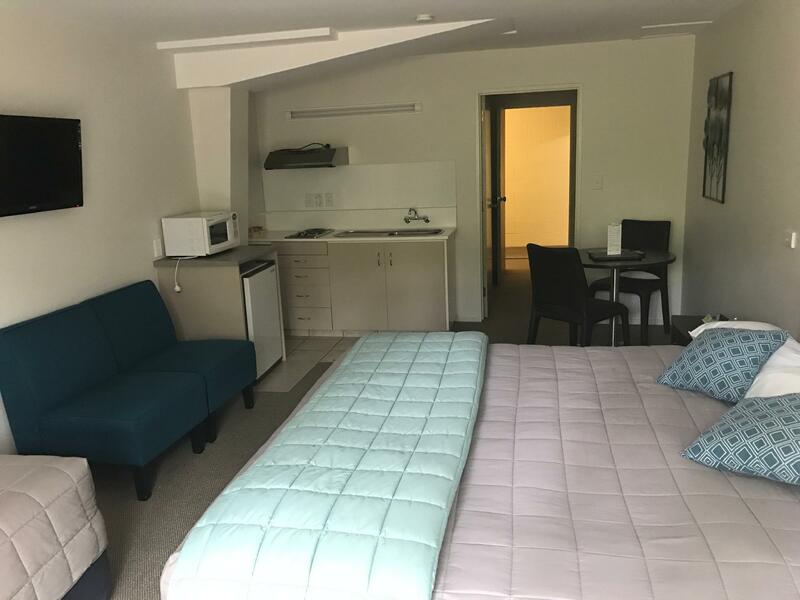 2.Spacious clean room with free WiFi. 3. Good location. Very comfortable and pleasant. One of the better accommodations I had in the South Island. The room was spacious and well appointed and the view from the room window is both soothing and relaxing. All in all, a very good experience. Would recommend friends to the Motel. Nothing fancy but it did the job with great views as a bonus.